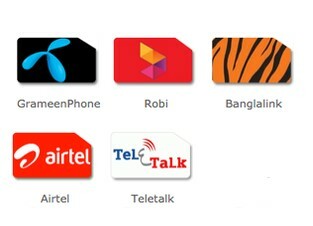 Hello Dear, Welcome to How to Check GP, Banglalink, Teletalk, Airtel, Robi Present Package by USSD Code or SMS Content. All the Bangladeshi SIM Users can check their own Operator Present Package by USSD Code very easily. It is very easy to check Own GP Present Package. First, go to the message option, then type “P” and send to 4444. After sending this SMS and waiting few second, User received an SMS where he/she get all information about Own GP Present Package. There are two USSD Code available to check own BL Present Package. Just, go to the Dial Option and Dial *125# OR *999*2#. To check the Own Teletalk Present Package, Customers need to type a Message. First, go to message option, then type “P”and Send SMS 154. Are you an Airtel connection users and want to check own Airtel Present Package? It is very easy, Dial *121*1*1*1#. Day by Day Robi increases their business in Bangladesh. They have many great Package. If you are a Robi connection users and want to check the Own Robi Present Package. There are two ways to check Robi Present Package. First way, go to the message option, then type “P” and Send 8822 and 2nd way, go to the Dial option and Dial *140*14#. Thanks for staying with us a long time and visiting GP Package Check, Robi Package Check, Banglalink Package Check, Teletalk Package Check, Airtel Package Check Content. If you have any confusion or question or want to know more about How to Check GP, Banglalink, Teletalk, Airtel, Robi Present Package by USSD Code or SMS, Just comment here. We reply as soon as possible with a correct answer. How to Check GP, Robi, Banglalink, Teletalk, Airtel Own Number Very Easily? Previous:Standard Chartered Bank Bangladesh Contact Number & Head Office Address.